Galápagos Fine 6 | たけだ美術 Takeda Art Co.
2016.03.07 Mon. 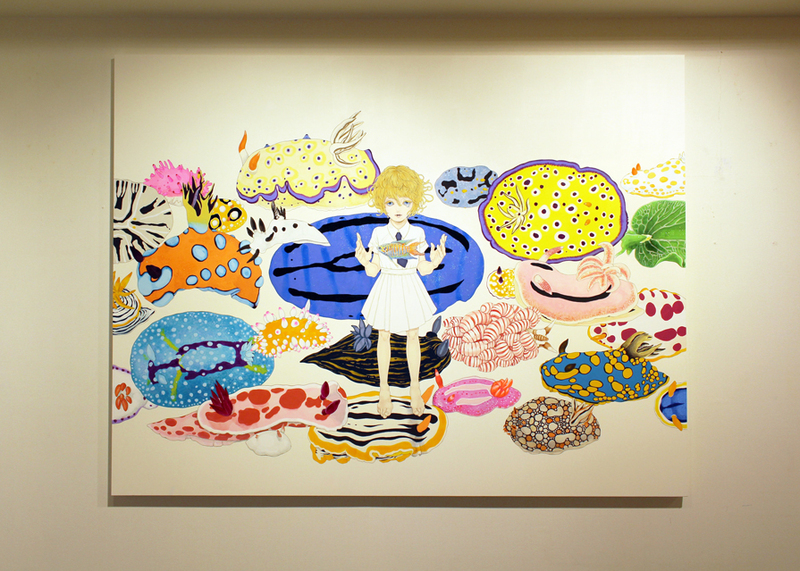 - 03.30 Wed.
Takeda Art Co. is holding the sixth annual group exhibition, “Galápagos Fine”. We would like you to view the outcomes of Japanese artists who continue to evolve in their unique and introvert ways. This year, Chihiro Nagashima, Sakiko Asaoka, and Ikue Furukawa, who were appraised at ART TAIPEI 2015, are participating in the exhibition. Moreover, a newcomer Misako Kon will enter this group. 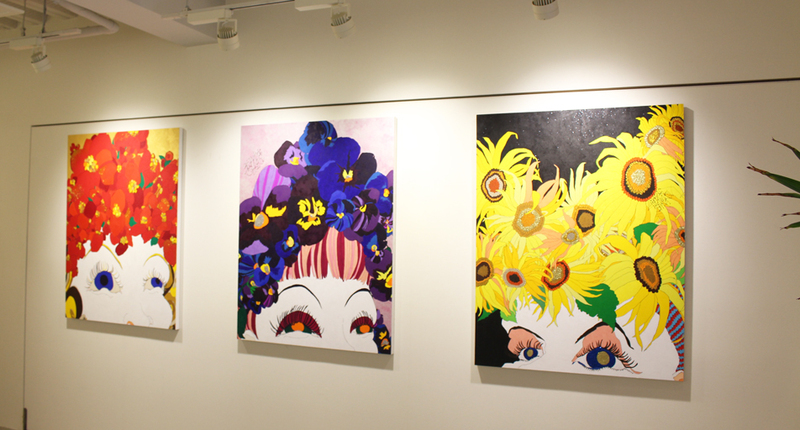 These four artists have been continuing “Oekaki” (or the painting) since they were little girls. Chihiro Nagashima can be told a veteran of “Oekaki”. It is not only highly complete work by brushing pictures beautifully like a Japanese-style painting, but the profound theme of the work can bring you the enjoyment to probe into the artist’s intention. Sakiko Asaoka is boldly expressing various female characters on every canvas, combining her complex with another narcissism, as if she reflected herself still in progress. 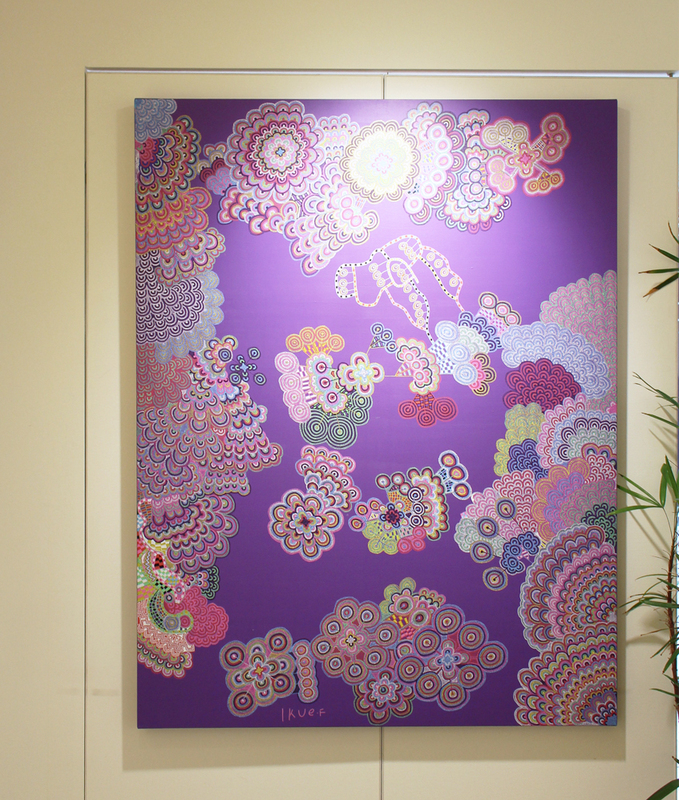 Ikue Furukawa has a genius-like color sense on her works. 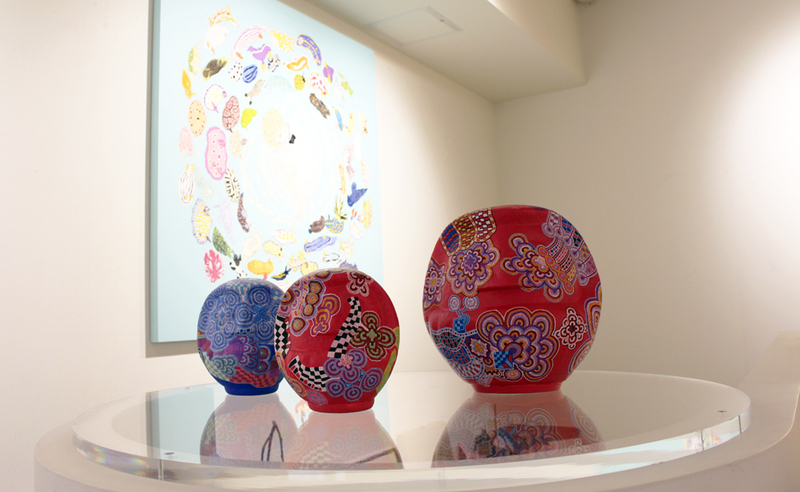 The viewers are overwhelmed by infinite dots and lines, which are filled automatically, on the paper “Daruma”. Then, Misako Kon was “discovered” by the gallery director with the conviction. The paintings with cosmetics which the artist is using every morning are her mind landscape-paintings as well as her self-portraits. They are soft, wavy, and fragrant just like the skins made up. Improving the skills, the artists have worked better than the last exhibition, you should feel. 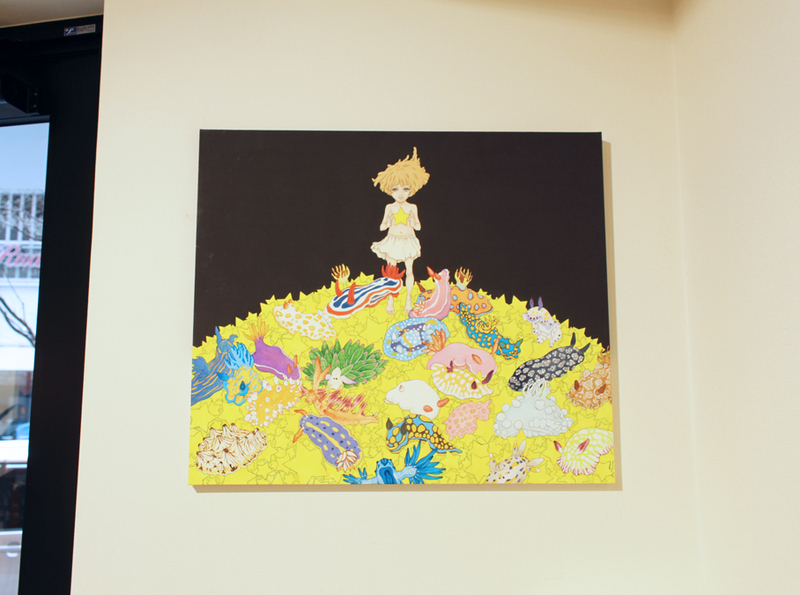 Takeda Art Co. hopes you will enjoy the specific world ” Galápagos Fine 6 ” by four female artists.